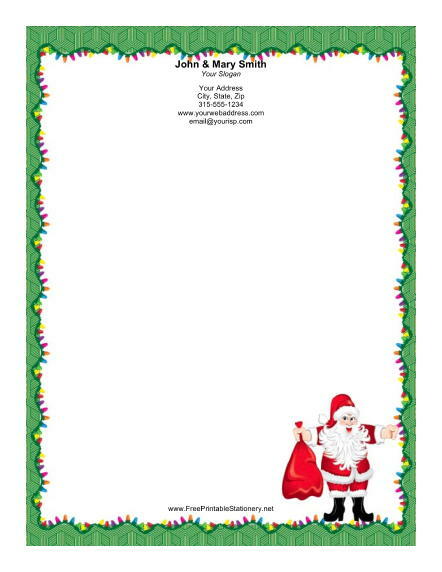 Santa Claus arrives with a big red bag packed with presents on this holiday stationery. He is surrounded by a string of colorful Christmas lights and a geometrical green border. You can fill up the white background with all your thoughts and wishes for the holiday season.